Welcome to 2019 BBQ Islanders! 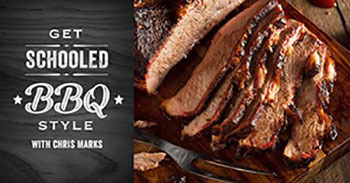 Just like a fine wine or a dry aged steak, BBQ Island only gets better with time. This year we have some really exciting things in the works, and we invite you to come along for the ride! 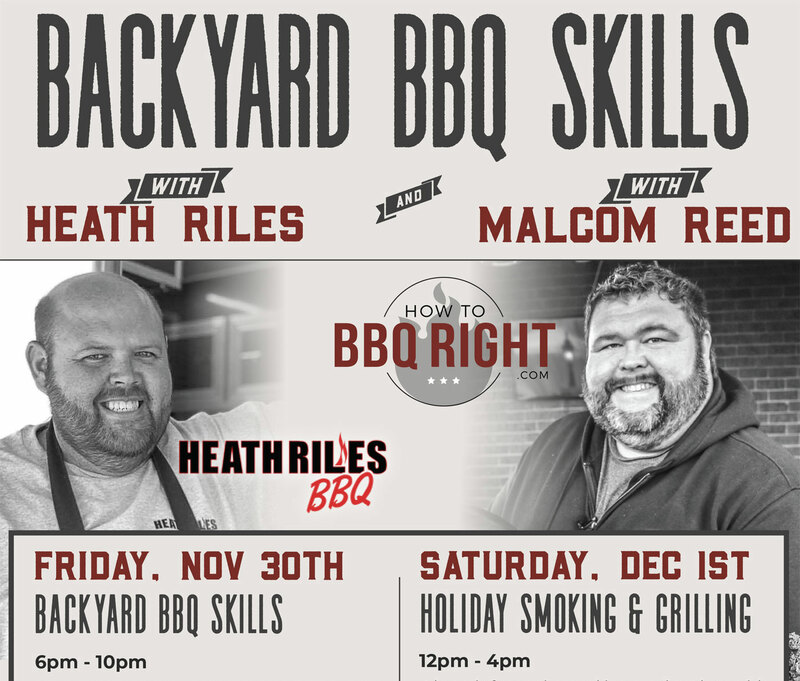 *Meet Health Riles and Malcom Reed in person at BBQ Island’s next cooking class on Friday November 30th and December 1st! 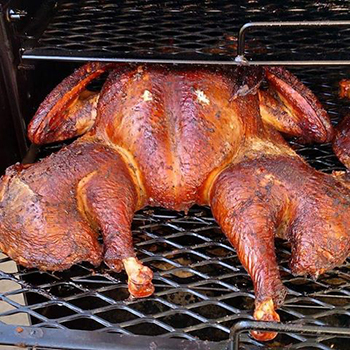 BBQ Island’s 8th Annual Turkey Fest has officially come and gone. 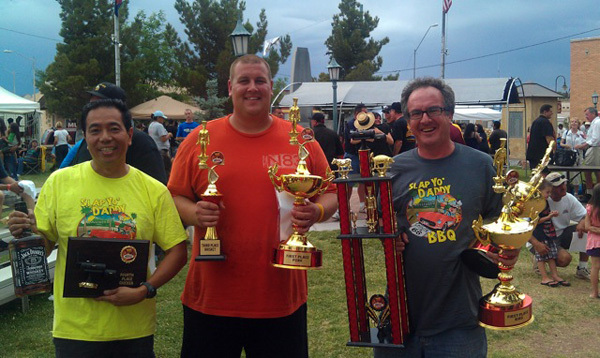 This year we had 20 BBQ teams competing for votes in a people’s choice format. Lip S-Macn BBQ Team Serves Up Lip Smackin’ BBQ! Memorial Day is a revered American holiday that honors the men and women of the U.S. Armed Services who gave their lives for our country. At BBQ Island, we stand with our nation in recognizing these heroes, and we salute all current military members, veterans, and their families who have sacrificed so much for us. Do you love the taste of a juicy, tender steak but are mystified about achieving mouth-watering steak perfection on your own backyard grill? Well, here’s your chance to learn the tricks of the trade! 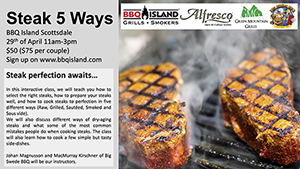 Sign up today for the ‘Steak 5 Ways’ class being held on April 29th from 11-3pm at BBQ Island in Scottsdale, and discover how it's done from the owner of Big Swede BBQ, Johan Magnusson. 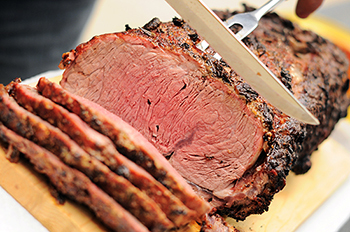 Looking for a holiday prime rib recipe? We'll do you one better by showing you exactly how to make it. All you need to do is come to our special prime rib class on December 17th, and you'll learn all the skills you need to really wow your guests at the holiday table this season. 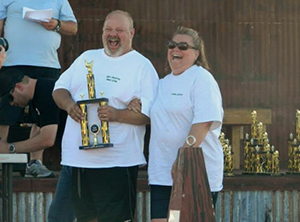 BBQ Island Turkey Fest Winners! 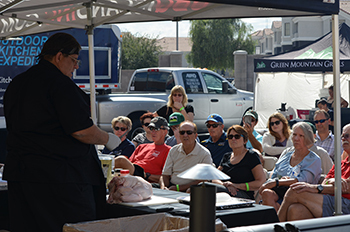 Thank you to all who came out on Saturday, November 12 for BBQ Island’s Turkey Fest event. It was a great day of grilling and turkey feasting! Seasoned and novice BBQ chefs agree that the best BBQ smoker out there comes from The Good-One. 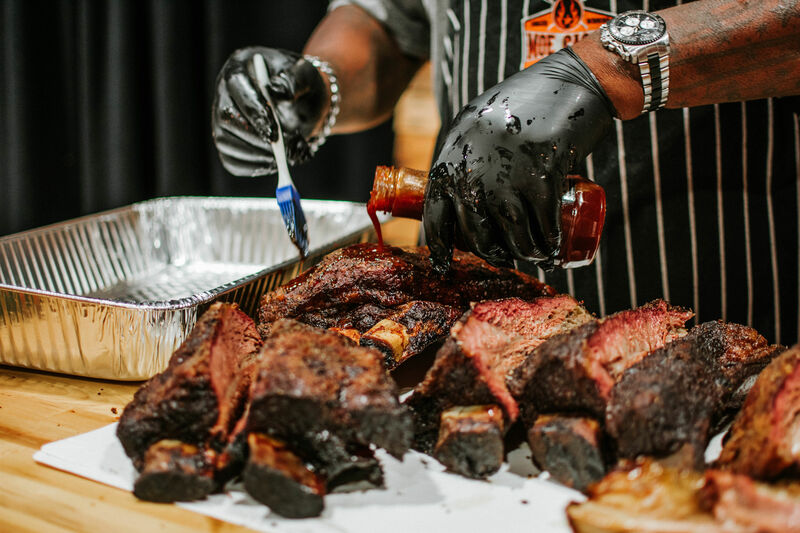 This is a favorite product for customers at BBQ Island, and we are excited to announce our upcoming BBQ cooking classes featuring smokers from The Good-One! So if you are anything like me, you probably were sitting in front of the TV the first night BBQ Pitmasters debuted. It was the Mesquite episode, and wow was I intrigued. Truthfully I had no idea about BBQ Pitmasters, I was just flipping through the channels and stumbled upon it. I kid you not, an hour later I was at Lowes buying an El Cheapo Brinkmann smoker! The next day, I fired her up at an elevation of 5600 feet in the middle of a northern Utah Winter, What an absolute blast that was!! I think back to some of the things that I cooked then and wow have things progressed! From that point on I probably cooked 3 times a week, and being that it was so cold and I was cooking on such a cheap smoker, I was probably by far Kingsfords best customer in UT. So after watching the show a few more times, and cooking about 30 different things on the Brinkmann, I decided to follow in the footsteps of Harry Soo of Slap Yo Daddy BBQ and buy a Weber Smokey Mountain Cooker.